Lufthansa is Germany’s flag carrier and also the largest airline in Europe, both in terms of overall passengers carried and fleet size. Deutsche Lufthansa AG is also the parent company for several other airlines and further aviation-related branches, among the most well-known are Swiss International Air Lines, Germanwings and Lufthansa Technik. Lufthansa's registered office and corporate headquarters are in Cologne. DW content related to the airline and its subsidiaries is collated below. The plane manufacturer says it is almost ready to release a software fix for its 737 Max jets. They remain grounded worldwide after two deadly crashes within months. Flights across Germany face delays as security staff at airports conduct an 18-hour strike over pay. 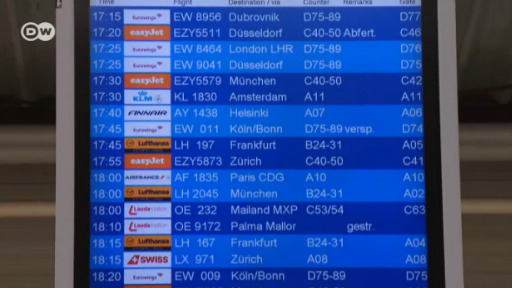 Officials at Frankfurt airport have cancelled 570 of a planned 1,200 arrivals and departures. Three days before the start of the Munich Oktoberfest on Saturday (22.09. - 07.10.) Lufthansa is sending its crew on their journey in Bavarian costume. And there's draught beer on board! 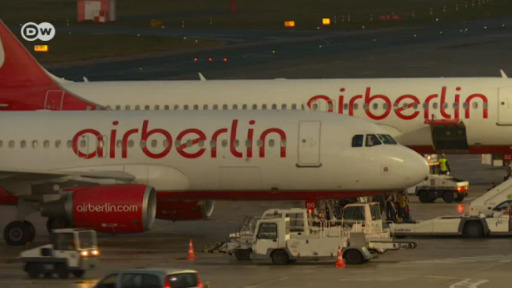 German airports are on standby for a massive uptick in passengers. That's because the school holidays start today. But airlines are warning travellers to turn up a lot earlier than usual - slow security checks and outdated technology to process baggage is all adding to the stress. Consumer associations even warn of the possibility of cancellations Lufthansa struggles with a staff shortage. The aircraft bound for Philadelphia was empty at the time of the accident. Ten people, including ground staff and firefighters, have been taken to a hospital with complaints of irritation in respiratory tracts. Tourism has a growing impact on the climate — particularly with regard to flights. Many aviation companies offer an option to offset carbon emissions. But where does that money go, and how effective is this contribution? Pilots at Lufthansa subsidiary Brussels Airlines have announced strikes on Monday and Wednesday as they seek higher wages. Three-quarters of all flights were expected to be canceled, the carrier said.